In October I’ve been focusing on table manners in order for us all to “up our game” during the holiday season which is right around the corner. As is typical during the season, we all are hosting and being hosted at one another’s homes more frequently, so now we should be ready to be on their best behavior at the table. Now, there are some guidelines about gifts. First, don’t bring flowers unless they are already in a vase or are potted. The last thing you want to force on your hostess is scurrying around to find a vase and arranging flowers. 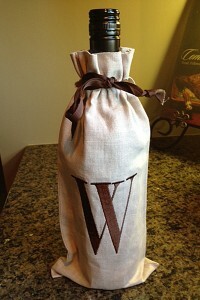 Second, a bottle of wine is a nice gesture and a very appropriate hostess gift, but don’t expect it to be served. Most likely your host has chosen beverages to match the menu, so don’t get your feelings hurt if they don’t open your bottle that night. Homemade goodies or unique treats from a speciality bakery make good hostess gifts. Also, monogramed items – napkins, powder room soap, notecards – say, “I bought this thinking of you.” During the holiday season, a unique or especially beautiful ornament makes a wonderful gift. There are two exceptions to the rule of bringing the host a gift. The first is if you are attending a buffet and already contributing a dish that is part of the meal. The second is if the occasion is part of a regularly scheduled series where all members of a group take their turn hosting, as with book clubs, game nights, or the like. While of course you may bring a gift for these occasions, it isn’t necessary. My friend K. Cooper Ray at Social Primer has several posts about table manners and guest etiquette. (Search “etiquette” or “most favored guest status.”) Please take the time to stop over and read SP. Also, on a random note, but related to him, if you are in the areas of Birmingham (November 3, The Summit) or Atlanta (November 10, Lenox), he has two social gatherings coming up at the local Brooks Brothers stores. I will be taking a week off from Manners Monday next week, but after that I’ll be back! If you have questions or topics you’d like for me to cover, let me know in the comments section or email me at readbabbette (at) yahoo (dot) com. Also, if you haven’t signed up to receive Lit&Leisure straight to your inbox, remember to do so below!